WASHINGTON (KGO) -- America's first family took part in the 93rd annual National Christmas tree lighting celebration in Washington D.C. Thursday night. The traditional tree lighting event took place across from the White House in President's Park. 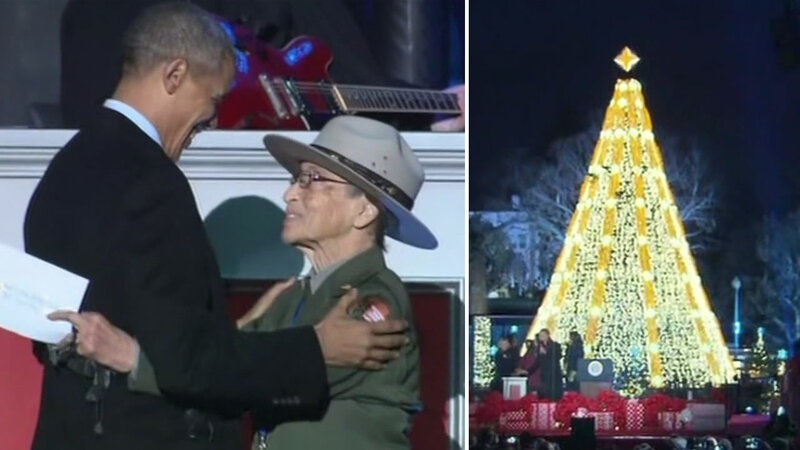 Mr. Obama invited the nation's oldest park ranger. Betty Soskin, 94, from Richmond to join in the celebration. She had the honor of introducing the president. "In this season of hope and promise, reflection and celebration it is my honor to present to you the President of the United States," Soskin said. Soskin is a tour guide and interpreter at the "Rosie the Riveter National Park in Richmond. She worked for an all-black auxiliary of a Segregated Boilermakers Union during World War II.